The Academy of Motion Picture Arts and Sciences has announced that 10 live action short films will advance in the voting process for the 86th Academy Awards. One hundred twenty pictures had originally qualified in the category. The Short Films and Feature Animation Branch Reviewing Committee viewed all the eligible entries for the preliminary round of voting at screenings held in Los Angeles. Short Films and Feature Animation Branch members will now select three to five nominees from among the 10 titles on the shortlist. Branch screenings will be held in Los Angeles, New York and San Francisco in December. For the first time, the entire voting membership of the Academy of Motion Picture Arts and Sciences will automatically be eligible to vote in all 24 Oscar categories. 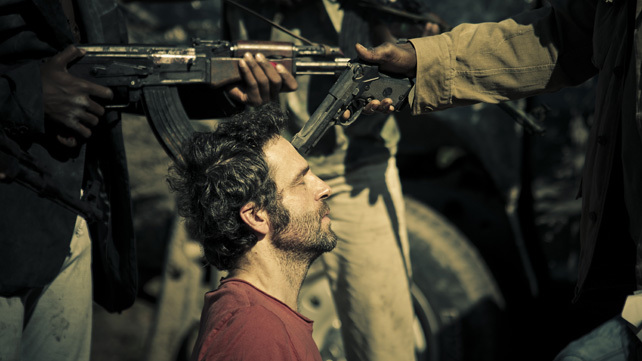 The Academy’s Board of Governors approved a plan 0n 4 May 2013 that will allow members to see the nominated documentary shorts and foreign language films either at a theatrical screening or on DVD. Prior to the final round of voting in 2014, the Academy will provide members with DVDs of the nominated films in five categories: Foreign Language Film, Documentary Feature, Documentary Short Subject, Animated Short Film, and Live Action Short Film. In previous years, members had been required to see the nominated films in a theatre in order to vote. The change in rules will open the voting in those categories to a much wider global constituency that in previous years could not attend theatrical screenings to qualify to vote. The Academy of Motion Picture Arts and Sciences and the ABC Television Network have announced the dates for the 86th and 87th Oscar presentations. The 86th and 87th Academy Awards ceremonies will be held at the Dolby Theatre at Hollywood & Highland Center in Hollywood. The 85th Academy Awards will include a tribute to the James Bond franchise, which has been celebrating its 50th Anniversary since the release of the first Bond, Dr No, on 5 October 1962. The most recent Bond, Skyfall, has become the first James Bond film to be nominated for the top prize at the Producers Guild of America Awards. 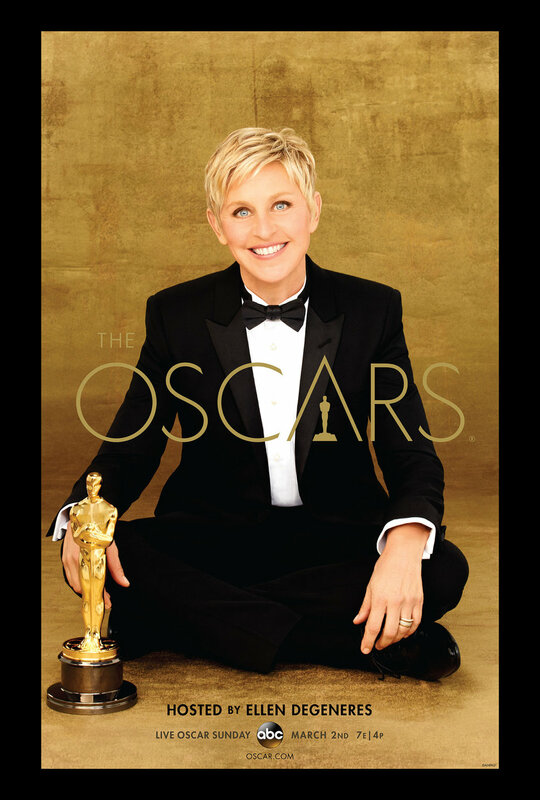 The Academy of Motion Picture Arts and Sciences has announced that nine scientific and technical achievements represented by 25 individual award recipients will be honoured at its annual Scientific and Technical Awards Presentation that will take place at The Beverly Hills Hotel on Saturday, 9 February 2013. Unlike other Academy Awards to be presented, achievements receiving Scientific and Technical Awards need not have been developed and introduced during 2012. Rather, the achievements must demonstrate a proven record of contributing significant value to the process of making motion pictures. To J.P. Lewis, Matt Cordner and Nickson Fong for the invention and publication of the Pose Space Deformation technique. Pose Space Deformation (PSD) introduced the use of novel sparse data interpolation techniques to the task of shape interpolation. The controllability and ease of achieving artistic intent have led to PSD being a foundational technique in the creation of computer–generated characters. To Lawrence Kesteloot, Drew Olbrich and Daniel Wexler for the creation of the Light system for computer graphics lighting at PDI/DreamWorks. Virtually unchanged from its original incarnation over 15 years ago, Light is still in continuous use due to its emphasis on interactive responsiveness, final–quality interactive render preview, scalable architecture and powerful user–configurable spreadsheet interface. To Steve LaVietes, Brian Hall and Jeremy Selan for the creation of the Katana computer graphics scene management and lighting software at Sony Pictures Imageworks. Katana’s unique design, featuring a deferred evaluation procedural node–graph, provides a highly efficient lighting and rendering workflow. It allows artists to non–destructively edit scenes too complex to fit into computer memory, at scales ranging from a single object up to an entire detailed city. To Theodore Kim, Nils Thuerey, Markus Gross and Doug James for the invention, publication and dissemination of Wavelet Turbulence software. This technique allowed for fast, art–directable creation of highly detailed gas simulation, making it easier for the artist to control the appearance these effects in the final image. To Richard Mall for the design and development of the Matthews Max Menace Arm. Highly sophisticated and well–engineered, the Max Menace Arm is a safe and adjustable device that allows rapid, precise positioning of lighting fixtures, cameras or accessories. On–set or on location, this compact and highly portable structure is often used where access is limited due to restrictions on attaching equipment to existing surfaces. To Simon Clutterbuck, James Jacobs and Dr. Richard Dorling for the development of the Tissue Physically–Based Character Simulation Framework. This framework faithfully and robustly simulates the effects of anatomical structures underlying a character’s skin. The resulting dynamic and secondary motions provide a new level of realism to computer–generated creatures. To Dr. Philip McLauchlan, Allan Jaenicke, John–Paul Smith and Ross Shain for the creation of the Mocha planar tracking and rotoscoping software at Imagineer Systems Ltd.
Mocha provides robust planar–tracking even when there are no clearly defined points in the image. Its effectiveness, ease of use, and ability to exchange rotoscoping data with other image processing tools have resulted in widespread adoption of the software in the visual effects industry. To Joe Murtha, William Frederick and Jim Markland of Anton/Bauer, Inc. for the design and creation of the CINE VCLX Portable Power System. The CINE VCLX provides extended run–times and flexibility, allowing users to power cameras and other supplementary equipment required for production. This high–capacity battery system is also matched to the high–demand, always–on digital cinema cameras. To Cooke Optics Limited for their continuing innovation in the design, development and manufacture of advanced camera lenses that have helped define the look of motion pictures over the last century. Since their first series of motion picture lenses, Cooke Optics has continued to create optical innovations decade after decade. Producing what is commonly referred to as the “Cooke Look,” these lenses have often been the lens of choice for creative cinematographers worldwide.